Unless you've somehow avoided current affairs lately (in which case, please tell us how), you're probably hyperaware that this year's midterm elections are a big deal. As a result, there are major efforts underway all around the country and on all sides to help get out the vote on November 6. Even Uber wants more people to vote, and it's hoping to help the cause by providing free rides to the polls on Election Day. The ride-hailing behemoth announced Thursday that on Tuesday, November 6, anyone with an Uber account can use its app to quickly find their polling place and book a ride to get there (in markets where Uber is available). 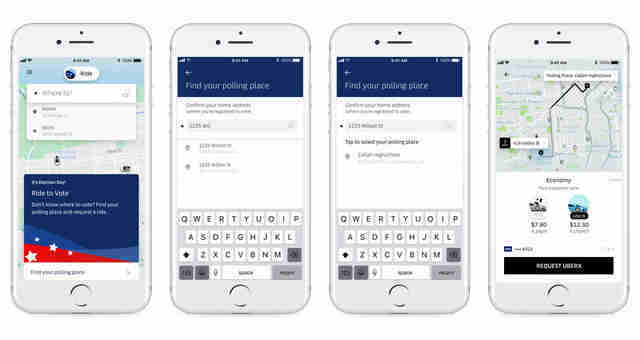 The "Get to the Polls" button will be available to all users, and will launch automatically when they open the app. The company is teaming up with #VoteTogether and Democracy Works, which will be providing promo codes to redeem the free rides, and said it's hoping to use its vast resources to help support the democratic process. "Using our technology and resources, we can help make it easier for every Uber rider in the U.S. to get to their polling place at the push of a button," CEO Dara Khosrowshahi said in a press release. 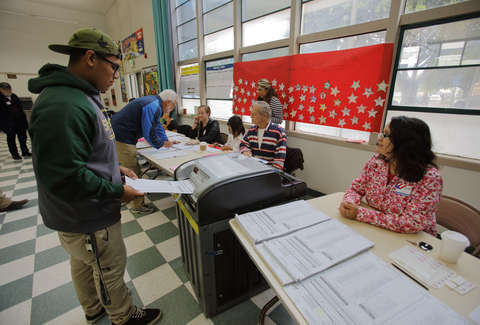 "We’re also partnering with nonprofit organizations to register voters before state deadlines and provide free rides to the polls on November 6." To help get people registered ahead of time (and before their state's deadline), Uber has already deployed some in-app resources and tools for riders to use to go through the process. They'll also be emailing info on how to register to drivers and delivery partners across the country between now and Election Day, and hosting registration drives at over 125 of its Greenlight Hubs (employee/driver resource centers in many cities it operates). Say what you will of the many issues, controversies, and scandals that have plagued Uber in the past, this is an undeniably good thing for everyone right now.